Inspiration / Yarns to Love / Woolen and Worsted: What Does It Mean? Woolen and Worsted: What Does It Mean? The last time we spoke, it was about sheep breeds and just what all those different fuzzy-bottomed critters had to do with your knitting. I hope you found time to explore your stash, and perhaps enhance it with yarns of different breeds. Today’s topic is woolen and worsted drafted yarns. Drafting is the process of adding twist to fiber, and of course it has an effect on your knitting. Yarn and fiber folks have an extensive vocabulary for many things, but we are really stuck on the word worsted. 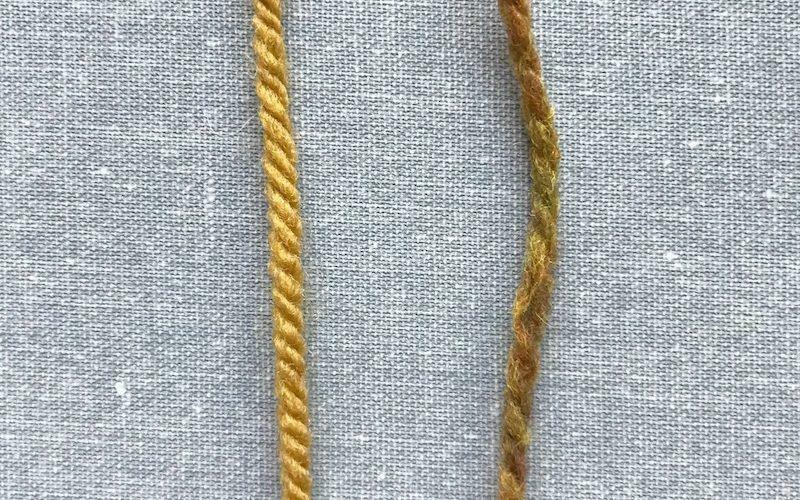 Worsted is used to describe the thickness of a yarn (worsted weight), one way fibers are aligned before becoming yarn (worsted preparation), and how twist enters fiber to become yarn (worsted drafting). Today, I’m talking about the last one. Twist is the magic that makes fiber into yarn, and drafting is how the twist gets into the fiber. There are two basic ways of drafting fiber by hand or by machine: worsted draft or woolen draft. One way is controlled; twist is brought to the fiber like a gift. No twist enters the fiber by itself. The fiber is compressed and smoothed, and air is squeezed out as the twist is applied to the fiber. That is worsted drafting. It makes yarn that is smooth and dense. The other style invites the twist into the fiber, it lets the twist zip into the fiber with little to no control; twist is just tossed at the fiber. The twist brings air with it, and the surface isn’t controlled by smoothing as it hits the fiber. That is woolen drafting. 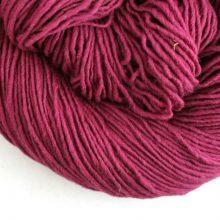 It makes yarn that is lofty and irregular. Think in terms of shopping at a fiber show. Miss Babs has an orderly line. Folks wait their turn to enter the booth and shop in a controlled way. That would be worsted-style shopping. Over at Into the Whirled, the people come from all directions into the booth in a hullabaloo of shopping, woolen style. When you touch worsted yarn, it tends to feel heavier and very even, and it will be shiny if the fibers in the yarn are inclined that way. 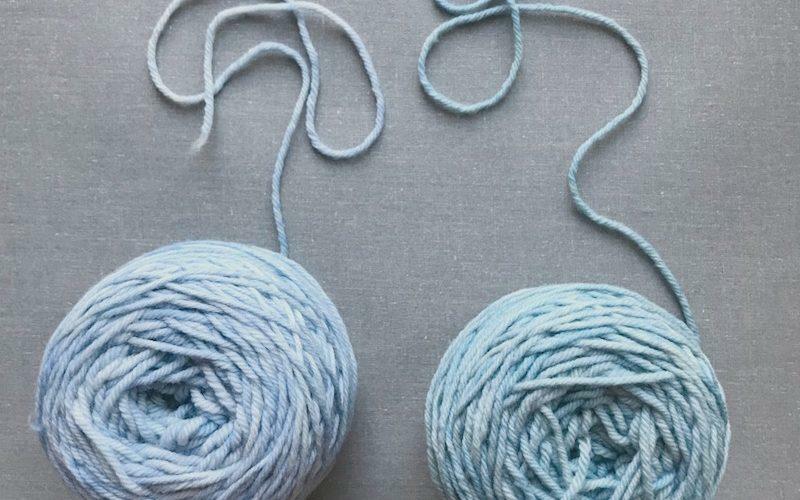 Woolen yarns feel lighter, can feel textured and have a halo, and if the fibers like to be hairy or fuzzy, they will be flying their fuzzy freak flag. Woolen yarns are the ones you might find bits of hay in. When you look at yarns, hunting for worsted vs. woolen, some are obvious from across the yarn shop. Two Brooklyn Tweed yarns. Left: Arbor (color: Klimt). Right: Shelter (color: hayloft). Brooklyn Tweed’s Arbor (Targhee wool, worsted spun) and Shelter (Targhee/Columbia wool, woolen spun) are perfect examples. You can see the difference when it’s wound into a ball, and in the strand. Even taking in account the difference of color and fiber blend, they are two different yarns. Shelter is textured, and Arbor is smooth as silk. Some yarns are not so obvious. Jill Draper’s Windham (Merino wool, worsted spun) and Empire (Rambouillet wool, woolen spun) are perfect examples of that. Two yarns from Jill Draper Makes Stuff. In both photos, Windham (Color: cloud) is on the left, and Empire (color: clear skies) is on the right. The difference between these two is not as clear at first glance. Looking at a strand, I can start seeing variation. The Empire (on the right) is less consistent, and looks a little puffier. When I unplied the yarn and looked at individual strands, I could see a difference and a dead giveaway. The Windham is more uniform and sleek looking even with the inherent visual softness of the Merino fiber. The Empire is more uneven looking, a little airier as well as fuzzy. The dead giveaway of the woolen-ness of Empire is the blip of fiber sticking out. 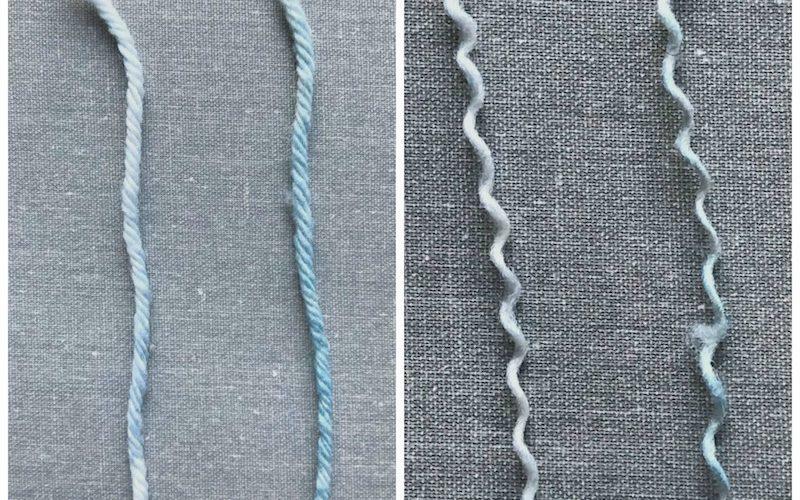 That doesn’t happen when fiber is being compressed and smoothed while it becomes a worsted drafted yarn; that happens when the twist limbos into the fiber. Not every woolen-spun yarn has a rougher surface, and not every worsted yarn is smooth. How a yarn looks also depends on (did you read my last article?) the fiber(s) used. Some have a naturally rougher surface. An extreme example is angora or mohair. 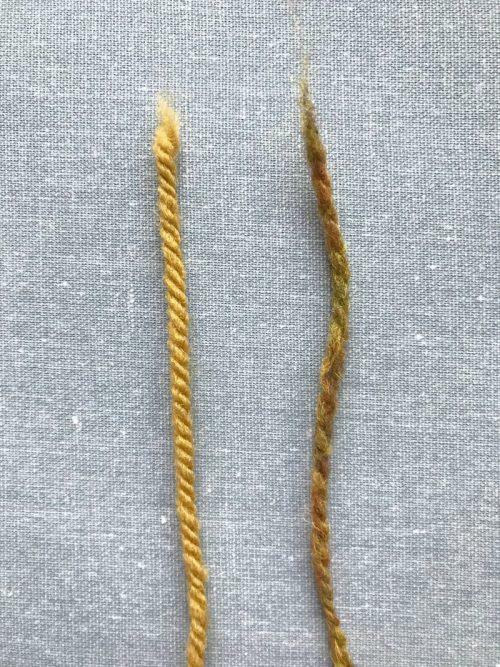 If either of these fibers is in your yarn, no matter how worsted and smooth it is spun—it will become a fuzzy yarn. 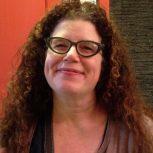 Why Does It Matter to My Knitting? 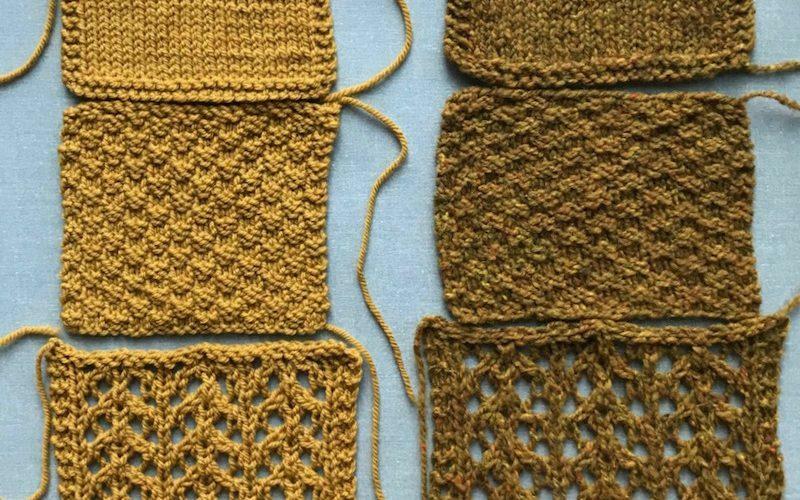 I knit swatches of all four yarns in stockinette, moss stitch, and a simple lace stitch, and took close-up comparison photos of the worsted and woolen yarns overlapping. 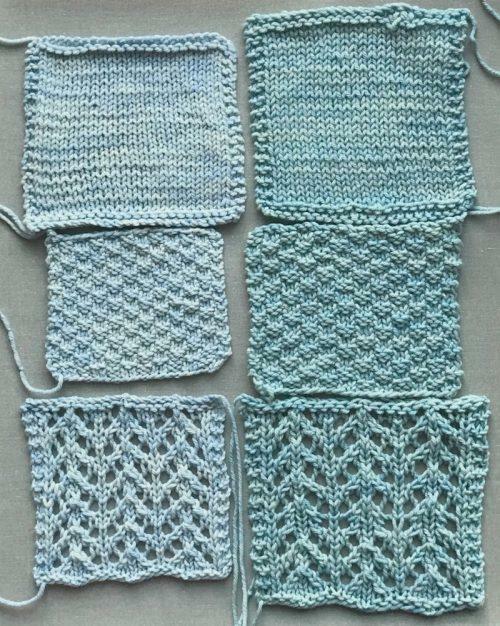 In all the photos, the left swatch of the pair is the worsted spun yarn and the right swatch is woolen spun. Brooklyn Tweed Swatches: Left, Arbor. Right, Shelter. 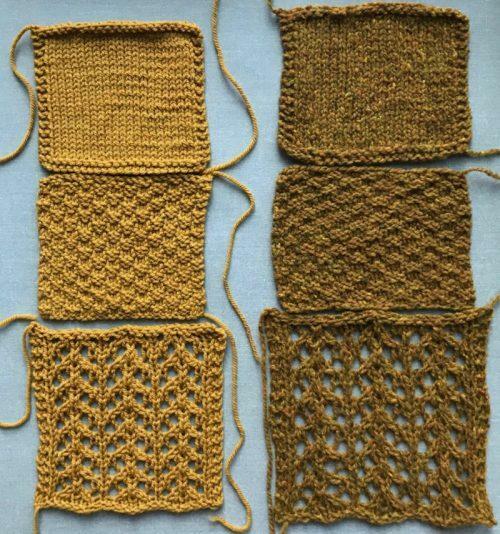 Jill Draper Makes Stuff Swatches: Left, Windham. Right, Empire. It’s easy to see what’s going on with the yarn and knitting in the samples. 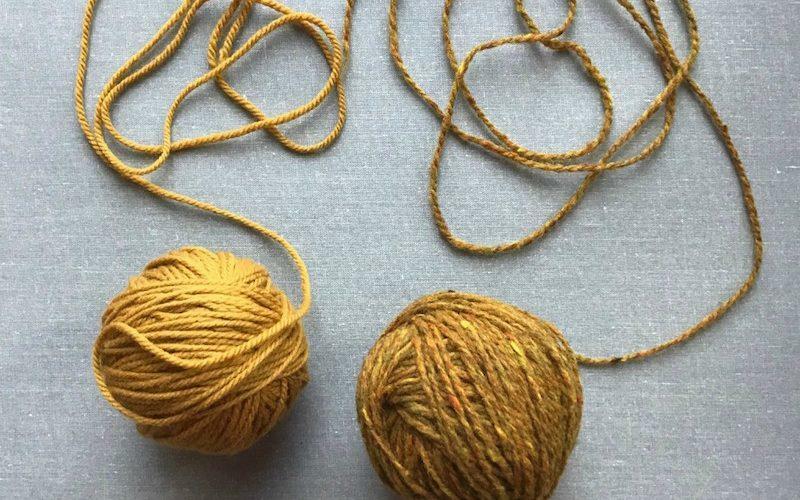 Here’s what woolen and worsted mean to your knitted sweaters and accessories. Stitch definition. I’ll jump right in with the big one. If you want knife-edge stitch definition, go for a worsted drafted yarn. You can see the stitches in the worsted swatches just show up. The Vs of stockinette are sharp, the bumps of moss are plump and clear and the holes in the lace are wide open. Woolen drafted yarn gives a texture and an overall softness and visual motion to all the stitches, something I like, but occasionally I find some small stitch repeat patterns get lost with woolen yarns. 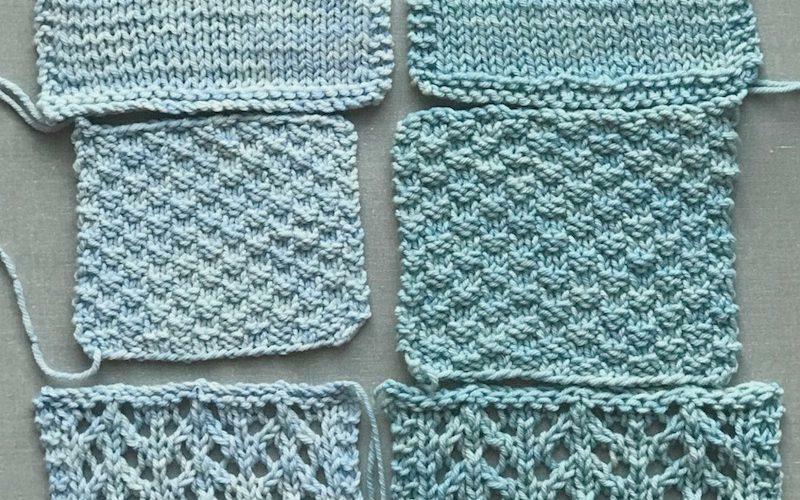 If you are unsure or curious about the outcome of a particular stitch pattern, swatch it. Color. When dyed the same color, woolen and worsted drafted yarns won’t look the same. 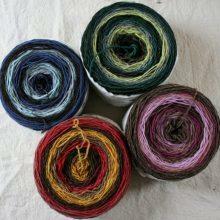 Color is usually lighter in a woolen drafted yarn. The squeeze of drafting a yarn worsted brings fibers closer, for greater depth of color, and the smoothness of the surface reflects light, intensifying the color and shine. In colorwork, the edge that gives a worsted yarn great stitch definition also makes colors stand apart, while woolen drafted yarns create softness and blur between colors. Durability, warmth and weight. 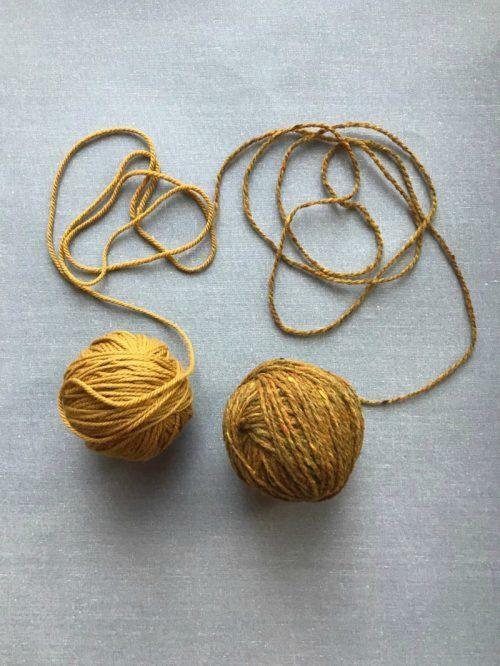 In side-by-side comparison of worsted and woolen yarns with the same fiber and yarn structure, the worsted yarn is more durable, less warm, and heavier than a woolen yarn. The packing-in of the fiber as worsted yarn is made allows the fibers to protect each other for longer wear and less pilling. The same process squeezes out the air making it not as warm. The compression of a worsted draft puts more individual fibers into a length of yarn, making it heavier. A woolen yarn’s loose, lofty structure traps and holds air, making it warm and light, but the air between the fibers allows them to abrade quicker. This is the fun part about being a knitter who knows their yarn; it’s all up to you. It’s like choosing between the cleaned-up, slicked-back Tom Hardy in Legend or the grungy Tom Hardy in Mad Max: Fury Road. They are both delightful, yet different. If I’m knitting a gansey to last more than a few years, and want fantastic, crisp stitch definition, I’ll choose a worsted spun yarn. 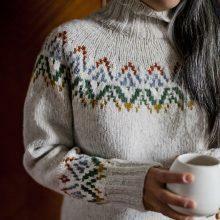 If I’m knitting a Fair Isle sweater and want it to be warm and have colors that are little blurred at the edges to blend well with each other. I’ll choose a woolen spun yarn. Never discount the yarn lust factor with yarn. Which do you like and want to work with? Now that you know about how woolen and worsted yarns behave in knitted fabric, you’ll be able to choose the perfect pattern to complement your new yarn love. Jillian Moreno spins, knits and weaves just so she can touch all of the fibers. She wrote the book Yarnitecture: A Knitter’s Guide to Spinning: Building Exactly the Yarn You Want so she could use all of the fiber words. Keep up with her exploits at jillianmoreno.com. Worsted or woolen? Join us for a yarn safari, on the next episode of Mutual of MDK Mild Kingdom. Thank you for this lucid explanation – and the swatches to illustrate it. NOW I KNOW. How satisfying! Thank you! This helped me understand the difference and will help me make better choices when picking a yarn to knit certain patterns. A light bulb has definitely gone on for me. I said Thank You as soon as I read the title. The distinctions between these has been a mystery to me until now. Great visuals and explanations. Perfect. A great big “AHA!” Moment for me! I’ll never look at yarn the same way again! So much yarn, so many choices — the Lust Factor will now have a bit more knowledge backing it up! This article is so well written and I love how you explain how the type of yarn will effect the finished product. But it’s so difficult to choose between the two Tom Hardys. There’s also Wuthering Heights Tom Hardy, just saying. So many Tom Hardys. Oh great now I’m going to spend all day weeping for Wuthering Heights Tom Hardy and wondering what kind of yarn he was. Wuthering Heights Tom Hardy is the yarn that ran out when you were an inch from the finish. LOL, Lynn! Good one :D! I’ve wondered lately why some yarn I loved in my LYS seemed perfect, but when swatched, especially in garter stitch, looked so shiny, something I didn’t want. Now I know. Thank you, you’re a great explainer. Best article I’ve read on this subject, and I’ve been looking for a clear one for about a year. Thank you for your thoughtful and careful drafting, and especially the photos! What a great article. A lot of totally digestable information, that was logically arranged and illustrated… and you even sprinkled it with touches of humor. I’ve put off learning more about the structure and the why and have just let myself be lead around MLYS making choices that just add to the stash but may not be right for the intended project. Now I might be able to come closer to making the right choice for the right project. I sort of knew all of this but your explanation and illustrations pulled my knowledge all together. I feel like I can make better yarn/pattern matches and explain these variables to others who want me to knit for them and their only concern is color. Thanks. Great article! Thanks for the clear and concise approach – I get it now! The best article ever on this subject. 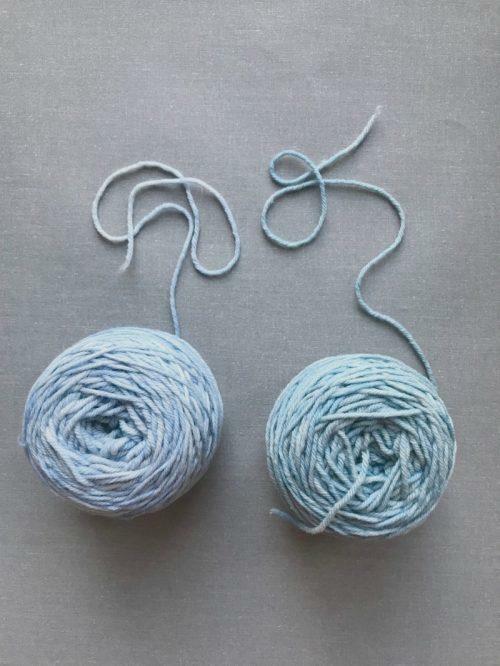 The photos were such a vivid illustration of the difference between these two types of drafting and their results for your knitting. 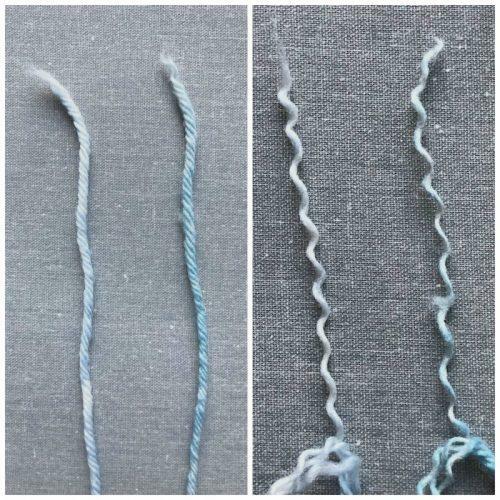 This was the clearest explanation regarding the what, why, and how of woolen vs. worsted spun I have come across. Bonus points for great pictures to make everything visual and extra clear. Thank you! Oh that’s right! Finally I understand – I sorta knew but didn’t quite fit it into certain yarns I was knitting on, I always wondered . . . and now the skies are clear, the the clouds have drifted away, and the sun is shining! Great article and most helpful. I just started stranded colorwork and this with your swatches is a good resource. Thanks. This is an excellent article and explanation. I’ll be referring back to it next time I’m looking for yarn for a specific project. Everyone already said what I wanted to, so I’ll just add that Tom Hardy is my Happy Place, no matter how he’s spun. Absolutely excellent article and the illustrations are superb and helpful. Congratulations on shedding light on these two styles of spinning that are so confusing for many spinners. I have learned so much today, THANK YOU. Thank you for helping me understand these yarn differences…this will help me understand why one yarn will make me swoon, and another yarn, totally different, really makes my knees weak. Now I can make better informed decisions when selecting yarns for a project, and now that next trip to my LYS will really become an adventure! Your explanation is great, and reaffirms my decision to purchase your Yarnitecture book awhile back. Time to read it again, more closely! So good! Now I also know the difference when spinning too. Thanks! In the pictures, the woollen spun samples all seem bigger that the worsted spun. Does it make that much difference to your gauge? Interesting point – I would like to know that too! I wonder if it is related to the tendancy of woollen-spuns to bloom? Thank you for a well written and useful article. This is the type of information that makes a knitter more knowledgable about our purchases. I choose to support local and indie yarners and don’t mind spending big $$ on yarn if I understand it will fit the intended project. With your information I can now choose wisely, thus ensuring my yarn/pattern will be completed. Yarn stashes are nice, but at some point, I become a yarn collector instead of a knitter if I never get projects done due to errors in purchases. Your book will be one of the few in my library, as I want those that provide me the knowledge to choose and knit wisely. Yours has been my favorite series to date – I’m learning so much and feel like I can make better choices! And I also now understand my past failures a little better… haha! A beautifully written, lucid and illuminating lesson, and several fascinating aspects to the distinctions. Understanding helps tremendously and the side by side swatches were terrific. Thank you so much! Wonderful study! Thank you for this insightful article. My thanks also. Very clear explanation of a new topic to me. It will help a lot in future project planning. Great article! I actually own a mini mill that creates semi-worsted yarns. Many people ask us about the process and the type of yarn we produce. Depending on their knowledge of spinning and yarns, it gets a bit tricky to articulate sometimes. Your explanation of the 2 ends of the spectrum also makes it very easy to understand our process and resulting yarns. Great information! I think it also helps to think of the woolen spun as “grippier” (as in “grips more”) since all the fibres are not tamed into a smooth yarn but are sort of sticking out all over. This definitely affects your choice for a project that will be steeked, but also for fair isle or intarsia colourwork where the woolen spun will fill in the gaps between stitches of different colours. 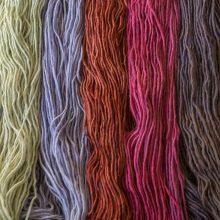 The worsted will tend to emphasize the gaps between the colours. This has just lit a light bulb in my head. Thank for for such a coherent explanation (and the pretty swatches really help too)! Great article, thank you for this very detailed account , I learned so much ! Extremely helpful! So well illustrated and explained. Thank you! Fascinating! I did not know this was the difference in certain types of yarn. 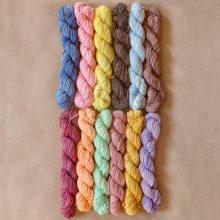 How about giving us more names of worsted and woolen yarns currently available? Ravelry has a searchable field for this info now, but unfortunately many yarnies/companies haven’t filled it in yet. You can write a comment on the yarn’s Ravelry page suggesting that drafting info be added. Yarnsub.com often has drafting info. Very interesting. Learned a lot. Thanks! This is so helpful and interesting not to mention how easy to understand. My question is how does one know whether a Yarn is worsted or woolen spun if one is not sophisticated enough to know just by looking? I don’t believe a label gives this info. Is there a list? 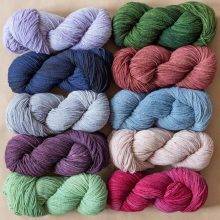 The indie Dyer might know how their base is spun if one is buying direct but maybe a LYS owner might not. Try Ravelry and yarnsub.com, or phone the manufacturer (or ask your LYS owner to). I’ve got the same question as an earlier commenter – one leg of my knit stitches is tighter than the other. A lot. In stockinette it’s *really* obvious. I’d assumed it was me, but now I wonder if it’s my yarn? Probably both … because nothing’s ever simple ;). I’m usually a picker, and I never pull from the center of a ball. Any suggestions? BTW, I made a lovely airy lacy quite-warm shawl using reclaimed 100% cashmere of about cobweb weight, that I believe was woolen spun. Airy and soft, but fragile (because of the shorter staple and looser twist?). I’ve been knitting for 15 years and never knew any of this! What a fascinating series of posts by Ms. Moreno! Thank you! Great, great article! Clear and concise. So at my LYS how can I tell from the label on the yarn?